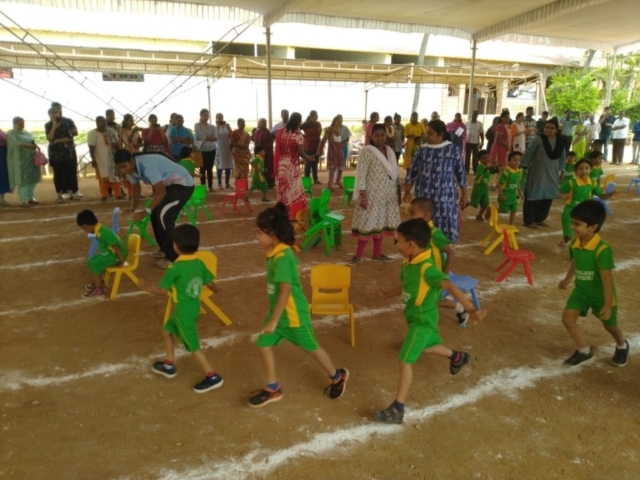 The Nursery Sports Day was an zealous event that was charged with the combined energies of the students teachers and parents. 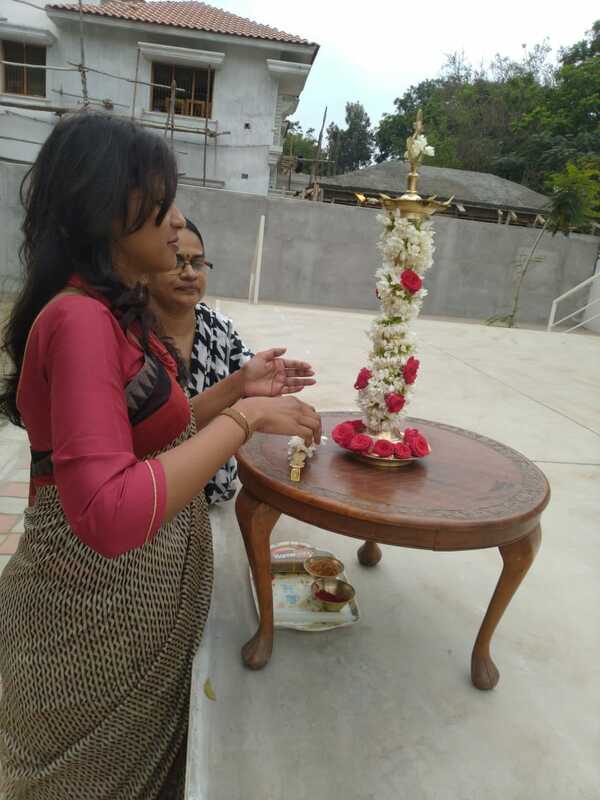 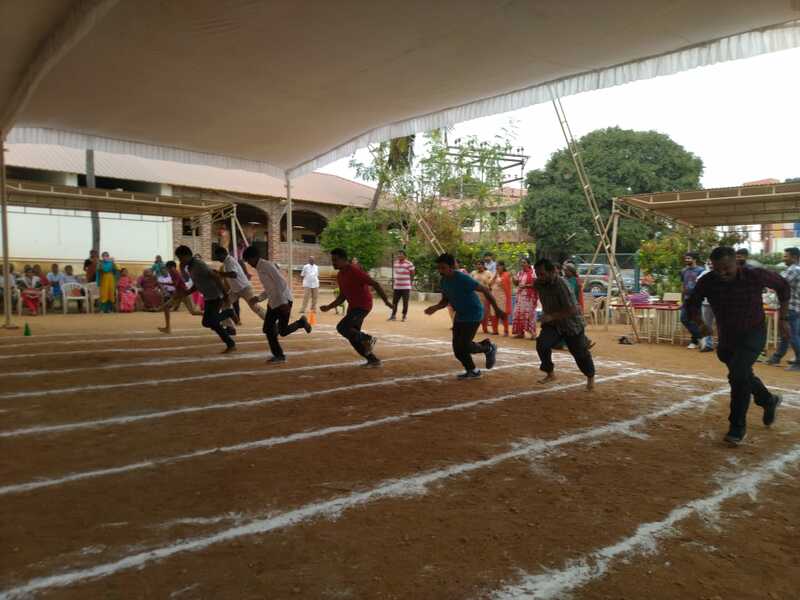 The students nurtured their competitive spirit while taking part in the various events. 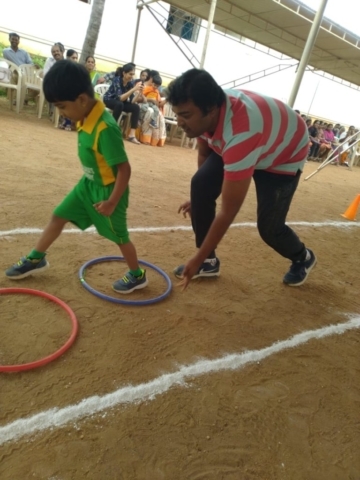 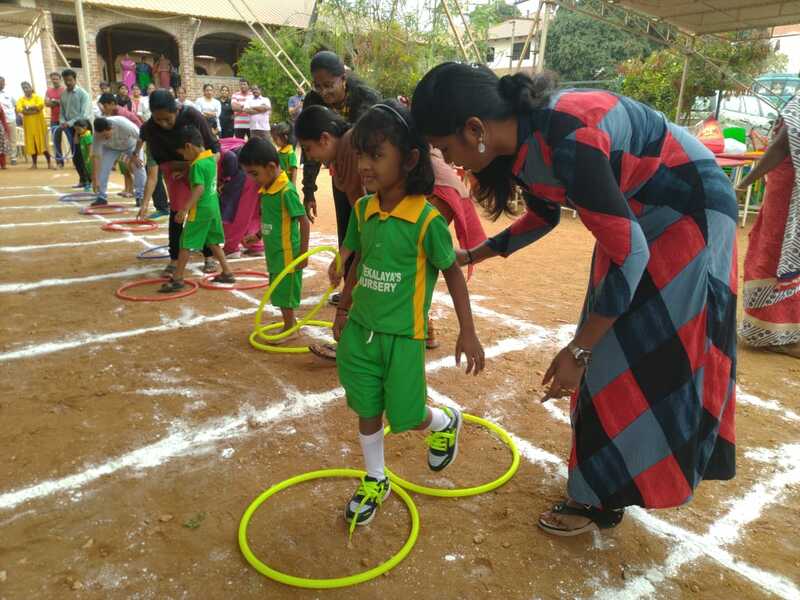 The “Parent Child” competitions also saw huge participation.The “Parents Only” events had their excited children cheer them from the stands for a change. 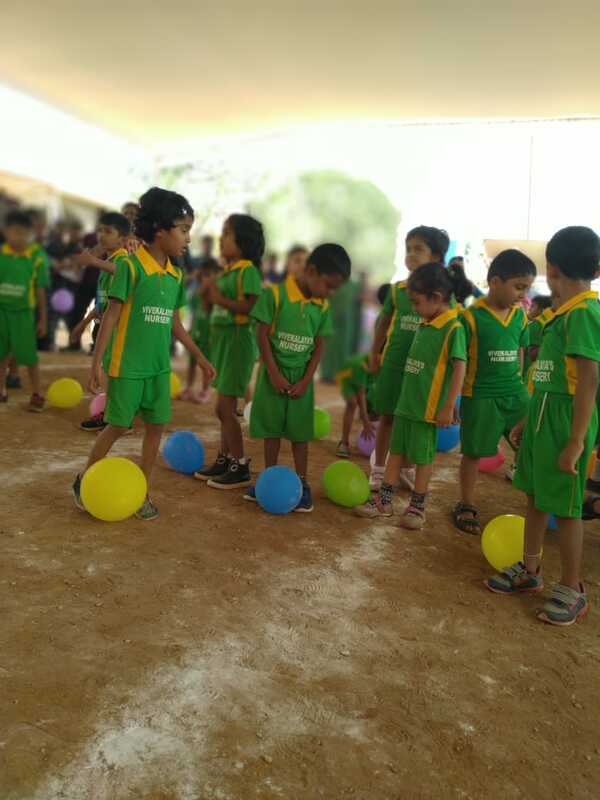 There were events like Running Races,Obstacle Race,Musical Chairs,Bursting the Balloon,Lemon & Spoon and many more. 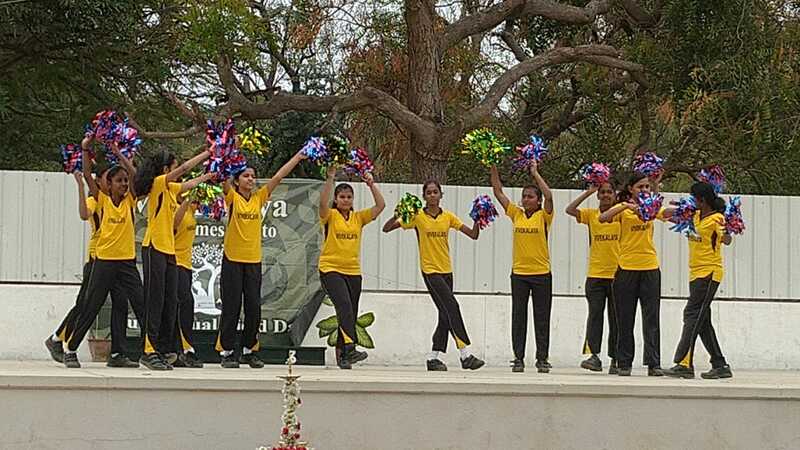 The whole atmosphere was of cheer and jubilation.